Malnutrition | Infonet Biovision Home. A child is checked in a rural health centre. Simply measuring the circumference of the mid-arm can give a quick and cheap assessment of the nutrition status of young children. The World Health Organization defines malnutrition as the cellular imbalance between supply of nutrients and energy and the body's demand for them to ensure growth, maintenance, and specific functions. Women and young children are the most adversely affected groups; one quarter to one half of women of child-bearing age in Africa and south Asia are underweight, which contributes to the number of low birth weight infants born annually. Malnutrition does not only mean hunger and under-nourishment, over-eating or excess nourishment is also malnutrition. It is a potentially life-threatening condition. So in order to stay healthy you need to eat healthy. In the elderly, malnutrition is usually due to digestion and absorption problems, rather than lack of food. Loss of appetite, sometimes connected to illness, also causes them to eat less. When unsupervised and sometimes forced to eat, many can ignore meal times or simply forget to eat. Alcoholism also can lead to malnutrition in adults of all ages because it affects appetite and absorption of nutrients. 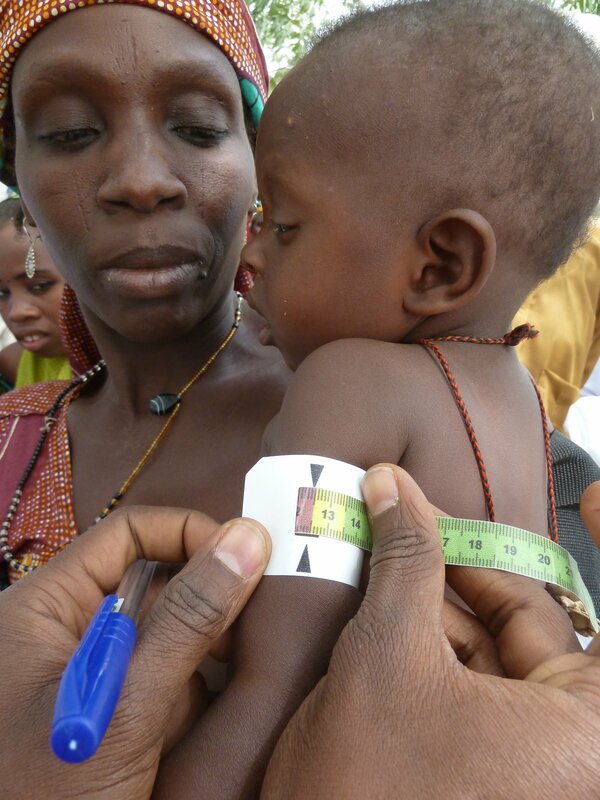 There can be a number of causes for malnutrition. Poverty is the main reason of malnutrition in a number of countries. The lack of healthy, nutritious food causes the children and elderly to suffer from under-nourishment, thus weakening their immune system and making them prone to other fatal diseases. People suffering from chronic diseases like AIDS and cancer can also be victims of malnutrition. Alcohol or drug consumption leads to loss of appetite and increases chances of malnutrition. Hunger is one of the most common causes of malnutrition, with poverty as the main factor. Hunger is even worse when it strikes children, as it can damage their physical and mental development, not only when young but for a lifetime. What's more, it also hinders an adult's ability to be productive and creates many health problems. When natural disasters, such as hurricanes and earthquakes, strike a country, it's easy for nutritional needs of the people to be deficient. Also, conflicts and wars can cause people to lack proper nutritional foods. This can be seen when people are forced to flee their country during a war, such as the in the refugees at Kakuma and Daadab refuge camps. A lack of care for women and children, especially in developing countries, is another basic cause of malnutrition. When pregnant women are given inadequate nutrition, their children also suffer from malnutrition. Also, poor hygiene at home and careless handling of food leads to malnutrition, increasing the threat of illness. According to a report of "The State of the World's Children", about 1.1 billion people lack safe drinking water or suitable sanitation. These conditions lead to infectious diseases spreading, causing childhood diarrhea, which leads to major malnutrition. Roughly 2.2 million children under the age of five die from diarrhea dehydration. Consuming more calories than needed can cause malnutrition just as not eating enough calories. over-consumption of unhealthy foods usually goes along with deficiencies in essential vitamins and minerals. For example, various food companies sometimes entice people to buy sugary and fatty foods, filled with empty calories and deficient in nutrients. This can result in weight problems and obesity to people who are already not physically active. Environmental conditions such as drought, famine, insect and protozoan infections may also contribute to environmental deficiencies in micronutrients. Overpopulation, more commonly seen in developing countries, can reduce food production, leading to inadequate food intake or intake of foods of poor nutritional quality. Conversely, the effects of malnutrition on individuals can create and maintain poverty, which can further hamper economic and social development. Dry and flaking skin with scales, swollen and painful joints, weakness in the muscle and trembling, Dizziness and slowed reflexes, fatigue and loss of energy. Osteoporosis, where the bones can break easily. Loss of appetite and weight, growth retardation, low organ function and distended stomach and diarrhea. Bleeding gums and decayed teeth. Weak immune system and low memory power. Deficiencies of Vitamin A that can cause loss of vision. Kwashiorkor and Marasmus are two conditions which occur due to loss of protein energy metabolism and have the same symptoms as above. They act as a primary symptom for malnutrition. Anemia, goiter and Weakened immune system. Confusion, disorientation, irritability and uncontrolled anger, dizziness that can lead to fits. Tachycardia, a condition in which the heartbeat fastens to a rapid rate, can also lead to heart attacks. Low output of urine and hence further kidney problems. Dry and scaly skin and constipation and bowel blockage. Adequate nutrition is of course of paramount importance: An average term infant requires 100 Calories/kg of body weight. 8-10% of these calories should be obtained from good quality protein. The first year of life is the most crucial period of development of a child. Human milk is the ideal nourishment for infant?s survival, growth and development. It contains all the nutrients a baby needs to thrive, it also passes on critical antibodies from mother to baby and protects against illnesses like diarrhea, and pneumonia- two of the major causes of infant mortality in the developing world. Breast milk also improves the response to vaccination. Formulas and other substitutes carry a high risk of infection, particularly in unhygienic conditions in which they are prepared, and can be fatal to the infant. Iodine is present in the secretion of thyroid gland; Lack of iodine can lead to increased secretary activity of thyroid glands leading to endemic goiter. Brain damage due to iodine deficiency is leading cause of preventable brain damage in children - but a tiny teaspoon of iodine consumed over a lifetime is all a child needs to be protected. Iodine is commonly added to table salt. Iodine is present in abundance in seafood; an adult requires about 150 microgram of iodine per day. Any yellow fruit or vegetable; for example peaches, squash or carrots contain vitamin A. But, in fact, meat is the most readily available source of vitamin A. Lack of vitamin can cause, Xerophthalmia (dryness of eyes), Padagra like skin condition, and Keratomalacia (injury to sclera due to dryness) leading to night-blindness. Iron is absolutely critical to women, particularly during their childbearing years. Loss of blood during menstruation and the high demands of iron during pregnancy deplete women's iron reserves. Iron deficiency -anemia -causes complications during pregnancy and is a leading cause of maternal deaths worldwide. Fortifying common household foods like flour and breakfast cereals with iron are a good way to ensure that children and families get what they need. Ministry of Medical Services, GOK. Kenya National Clinical Nutrition and Dietetics Reference Manual. Nairobi, Kenya: Ministry of Medical Services Republic of Kenya; (2010). Sharon R, Kathryn P, Ellie W.Understanding Normal and Clinical Nutrition.8th edition.USA: Yolanda cossio; (2008). Vander A and others: Human physiology: The mechanisms of body functions. 8th ed. Boston: McGraw-Hill. (2000).